Rev. Claude Grou, the rector of St. Joseph’s Oratory at Mount Royal who was stabbed during a Mass March 22, has been released from the hospital. Vlad Cristian Eremia, the 26-year-old suspect in the attack, which was caught on film, is charged with attempted murder and assault with a weapon. Prosecutors and the defence agreed he should have a psychiatric evaluation. The judge sent him to the Institut Philippe-Pinel psychiatric hospital for the evaluation; he is scheduled to return to court April 26. 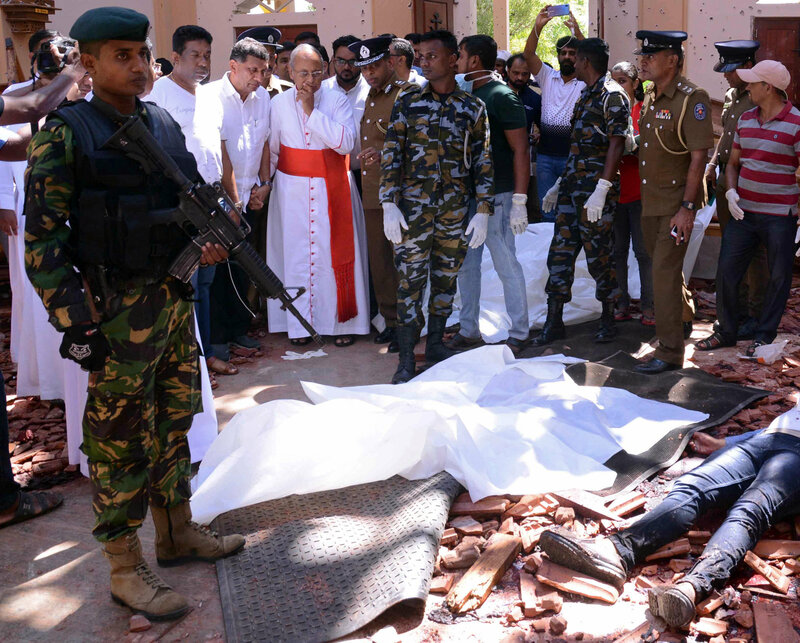 Father Grou was stabbed by a man at 8:40 a.m. during the morning Mass, which was being livestreamed and televised by Salt + Light Television. The charges in the Montreal attack come as priests in the Edmonton Archdiocese are dealing with their own issues of personal safety. 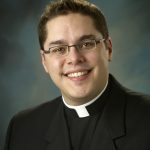 In the Archdiocese of Edmonton, Rev. Roger Rouleau said a person rushed the altar during his 11 a.m. Sunday Mass on March 24. 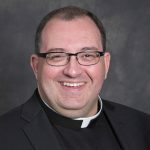 Father Rouleau is the pastor at Catholic Parish of the Holy Name in Vermilion. “It was a man I’d never seen before. He went up to the sanctuary and was speaking in a loud voice. 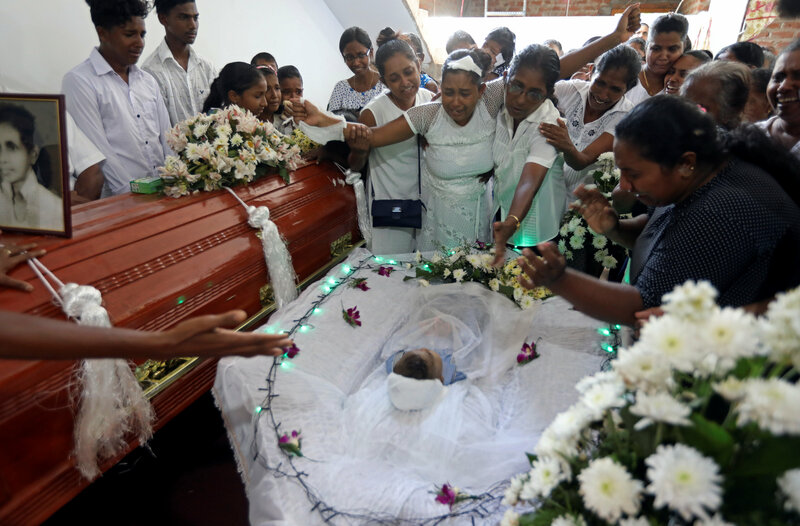 We knew that something was wrong,” Father Rouleau said. Father Rouleau told the man he would talk to him after Mass, but by that time he had left the church. It’s the third such incident in the 5 ½ years that Father Rouleau has been pastor of Parish of the Holy Name. Why these incidents are happening more often is unclear, but Father Rouleau said the parish will be talking about security measures. That may include giving ushers a greater role. 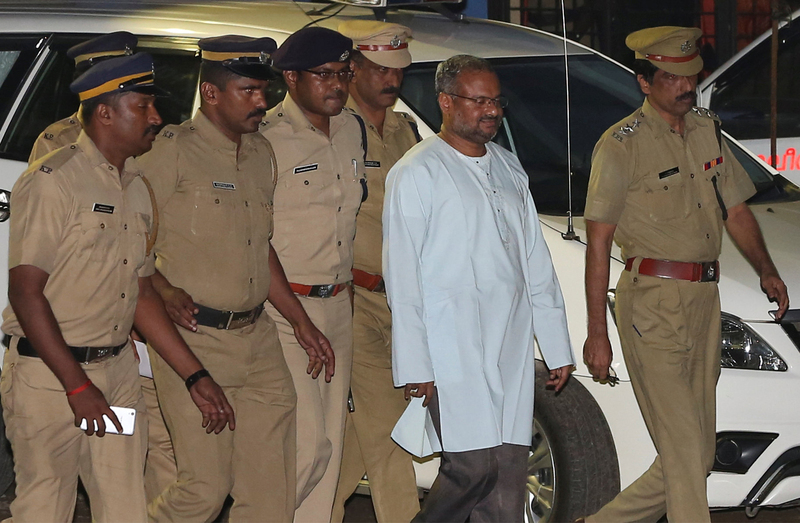 The incident came just weeks after an Edmonton priest was assaulted inside his church. Rev. Marcin Mironiuk, the pastor of Our Lady Queen of Poland Parish, had just finished celebrating Mass on March 13 when a man threw him to the ground and began choking him to the point where he couldn’t breathe. Edmonton Police spokesperson Patrycja Mokrzan said women who attended the Mass began beating the suspect with their canes and he eventually released Father Mironiuk. The suspect then fled. Father Mironiuk was not injured. He reported the incident to police on March 15. The suspect was described as five-foot-nine inches tall, about 25 years old with short dark hair. He was wearing a red T-shirt and black jacket. Witnesses told police he smelled of alcohol. Police say the man was not known to Father Mironiuk or anyone in the parish. Father Mironiuk declined comment to Grandin Media. 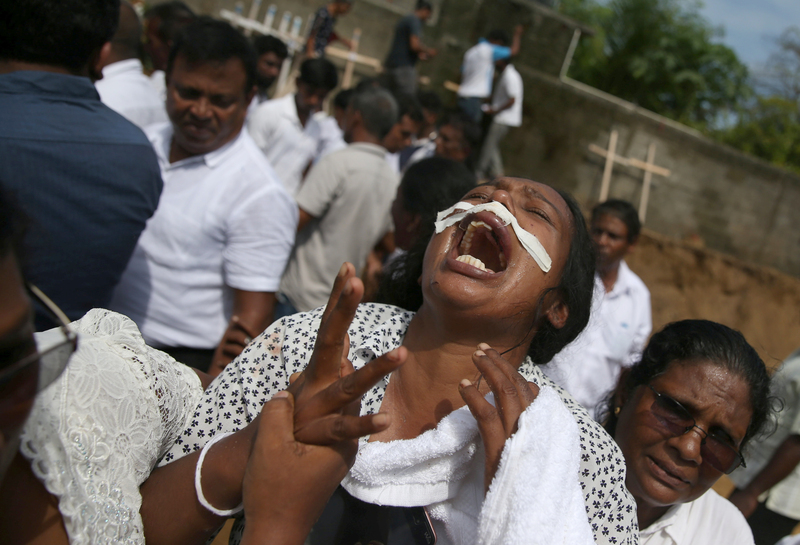 In spite of these incidents, there’s no cause for alarm, said Rev. Paul Kavanagh, the episcopal vicar for clergy in the Archdiocese of Edmonton. “Our clergy have an awareness to be vigilant but not in a way that causes distress for our parishioners,” he said. 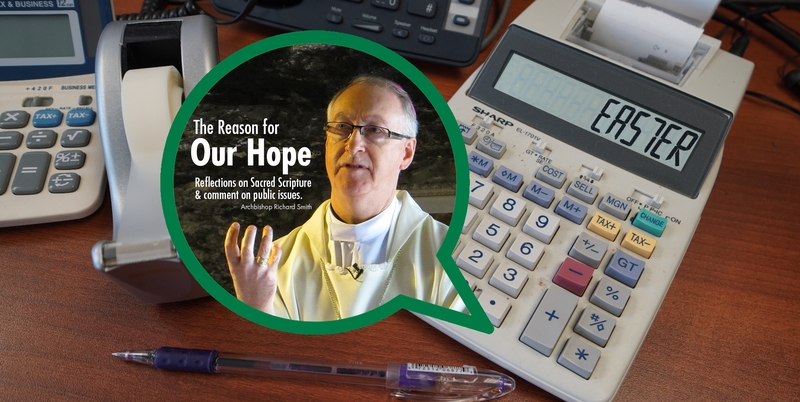 Father Kavanagh noted that he has “felt safe at all of the churches here in the Archdiocese” as well as St. Joseph’s Basilica – the most high-profile church in the Archdiocese – where he is the rector. “I do not see the Basilica as a target. It is certainly a centre for worship and community. Being the Cathedral Church of the Archdiocese we are a church that brings people from across the Archdiocese and also many visitors through our doors,” Father Kavanagh said. The Archdiocese of Edmonton said incidents like this are worrying, but people should feel safe in their places of worship. Alarms and external cameras are in increasing use and ushers are trained to be aware of strange or unusual behaviour as a form of emergency preparedness. As well, training efforts like the city of Edmonton’s Crime Prevention Through Environmental Design have been used in some places to determine security risks and ways to make a building a safer place. 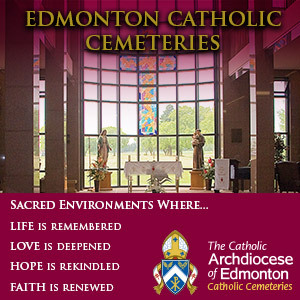 In the Edmonton Archdiocese, there are 61 parishes with resident priests in cities, towns, rural areas and indigenous communities, and another 64 parishes and missions without resident priests. 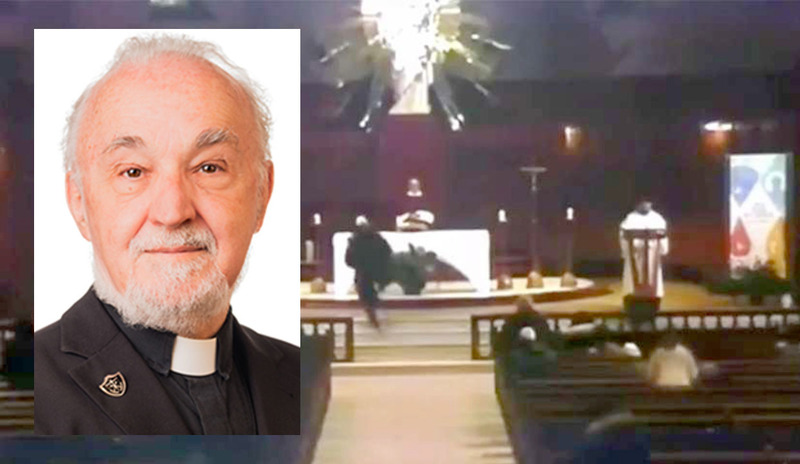 In video of the incident, a man in a dark coat and a white baseball cap approaches from the left in front of the sanctuary and jogs up the four stairs to the altar. As he goes around the altar, the priest backs away and retreats to the side of the sanctuary. The attacker grabs him and they both fall to the ground. “At the end of the psalm, just before the … Gospel, there is this guy who comes from who-knows-where — I only film the front of the crypt — and who moves rather quickly,” said Dinh Khoi Vu, who directed the morning Mass at the Oratory for Salt + Light Television. This article was corrected on March 26, 2019, to specify that the incident at Our Lady Queen of Poland took place inside the church. It was updated to include the release from hospital of Rev. Grou, and that the attacker has been sent for psychiatric evaluation.